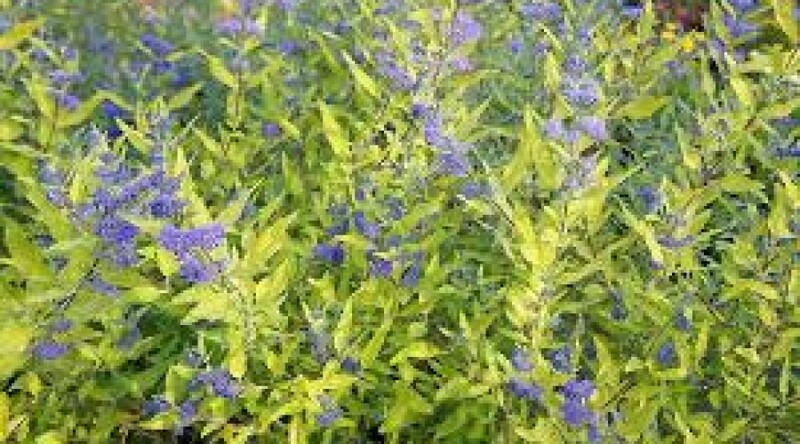 Dense mound-forming shrub with aromatic golden yellow leaves. Lavender-blue flowers produced in clusters. Height 1m. Spread 1.5m. Flower colour Blue, Lavender. Flowers from August to September. Deciduous. Foliage colour Yellow.